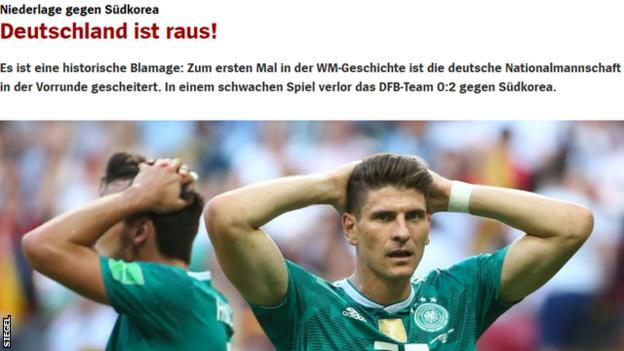 Germany manager Joachim Low says his side deserved to go out of the World Cup after they crashed out in the group stage in “historic” fashion. 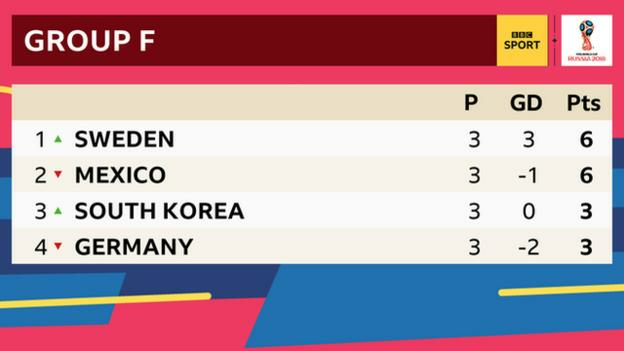 The defending champions finished bottom of Group F after losing 2-0 to South Korea, the first time Germany have gone out in the first round of a World Cup since 1938. “This is something for us to reckon with,” Low said. Sweden won the group with a 3-0 win over Mexico at the same time, which meant Germany needed to win their game in Kazan. “We saw Sweden had taken the lead so we needed to keep the pressure up but our team was missing the ease of play and the classiness we usually have. So, we deserve to be eliminated, yes,” said Low, who had never failed to reach a semi-final before in his 12-year reign. Both of the South Korean goals came in injury time. Kim Young-gwon scored from close range, a goal initially disallowed for offside but then awarded after video assistant referee consultation. And with goalkeeper Manuel Neuer losing the ball in South Korea’s half, Ju Se-jong found Son Heung-min with a long ball and the Tottenham forward tapped into an empty net. 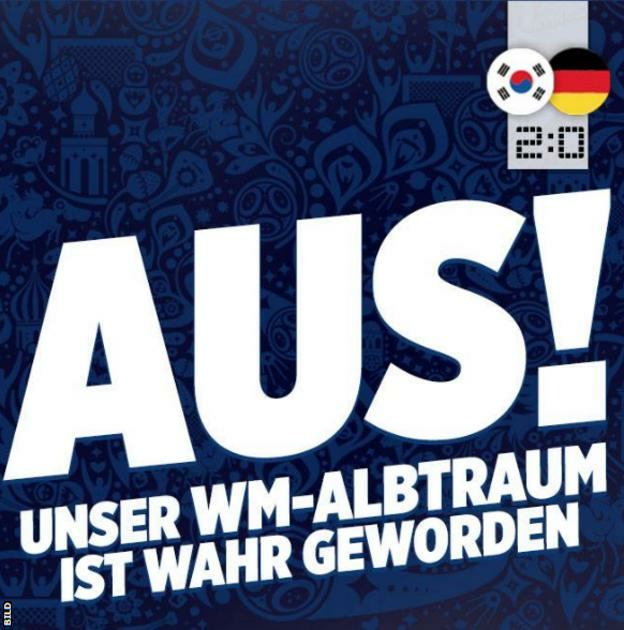 World Cup Daily podcast: Low’s ‘shocking tactics’ and what was Neuer playing at? Germany lost their opener 1-0 to Mexico, but then beat Sweden 2-1, thanks to Toni Kroos’ 95th-minute winner to give themselves hope going into the final game. Low decided to leave Thomas Muller – who has scored 10 World Cup goals in his career – on the bench for the first time in the tournament since the 2010 semi-final against Spain. 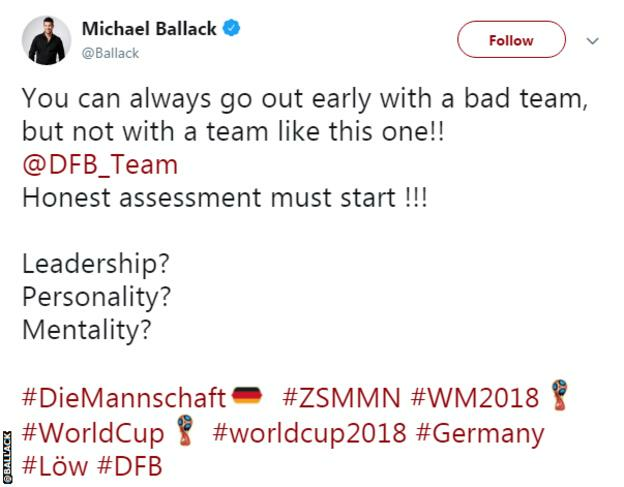 “According to what I saw today this was a good line up, Thomas Muller was not so convincing in the first two matches so I thought I would make a point. We had to take risks, we couldn’t go on and wait and because of this we opened the doors in our defence. “We had a good training camp, the team has worked well and we felt we would shift gears but we lost to Mexico when a point might have been different and we just couldn’t make that switch. “We were convinced that when the tournament started things would go well but that wasn’t the case. “We’ve been stepping up the pressure to score goals, certainly in second halves, but it didn’t come together. We were dead, after their first goal. We realised there would be no opportunities for us. Former Ivory Coast striker Didier Drogba on BBC One: “What a day, what a game. The last winner is out, but really it is not surprising, given their performance in the first game, they struggled against Sweden. After the late goal we thought they were back, but another poor performance today. They don’t deserve to go through. 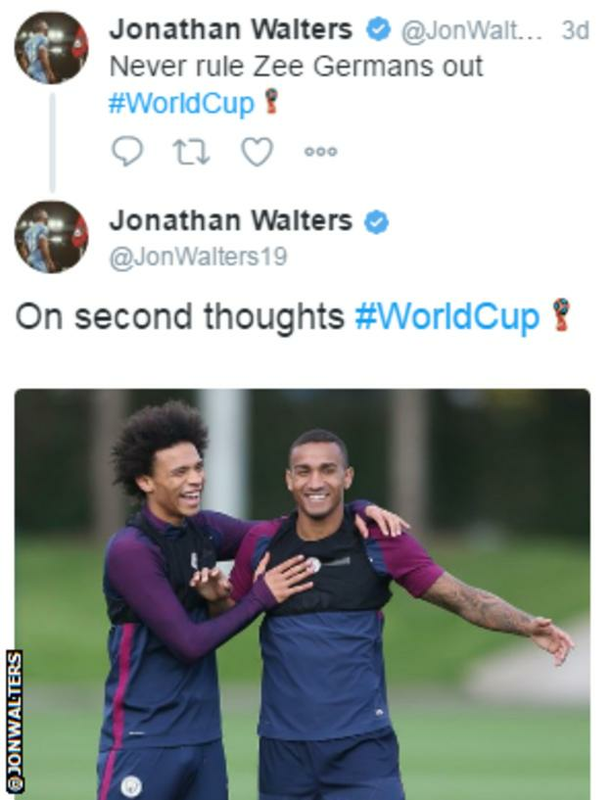 What was said on social media? 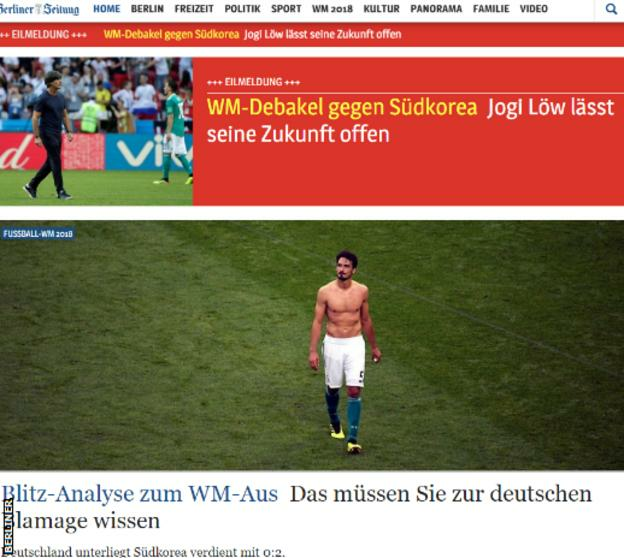 How have the German papers reacted?